Sounds and textures seem to fade in and out creating hypnotic arrangements of synthetic rhythms and mesmerizing melodies. Cacophonous crashes of noise startle the inner being. SnareBurst is not your average techno project. 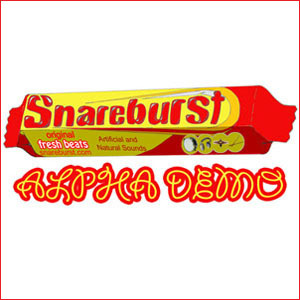 SnareBurst ALPHA DEMO is two gentlemen making Psychedelic Trance music on modern equipment. Recorded Live with no studio trickery. No turntables or computers were used in the making of this music.